At-risk adolescents, i.e. those youth experiencing a range of externalizing behaviours, including conduct and antisocial problems, and living in adverse socio-economic environments, are an understudied population. In this issue, Pincham and colleagues  examined the neural impact of a psychosocial intervention in at-risk adolescents using event-related potentials as biomarkers of therapeutic change. The hypothesis is that a psychosocial intervention program may improve neural and behavioural functioning. At-risk youth have a tendency to act impulsively and select immediate recompenses even if potentially associated with negative consequences. In this study, neural determinants of decision-making were assessed in two groups of adolescents receiving a psychosocial intervention, using a modified version of the Taylor Aggression Paradigm during event-related potentials (ERPs) recording. As an index of affective and feedback brain functioning, the authors investigated the late positive potential (LPP), the feedback-related negativity (FRN), and the P300. 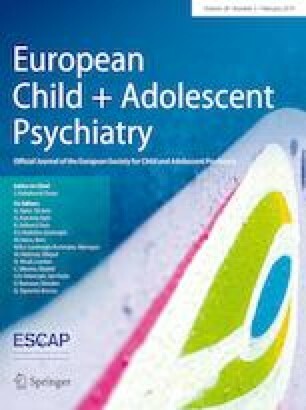 Two groups were compared: youth who had had the psychosocial intervention for ≤ 4 months and those who had had the same intervention for ≥ 9 months. Findings indicated that during the decisional phase the minimally exposed group showed reduced LPP responses to provocation and penalized the adversaries more harshly than adolescents exposed to intervention for a longer period. These findings are suggestive of a greater sensitivity to social provocation in the minimally exposed group, likely due to immature brain decision-making strategies. Participants minimally exposed to intervention also revealed diminished FNR and P300 responses to feedback signals compared with those who received the intervention for longer. These results are suggestive of feedback hypo-sensitivity for the minimally exposed intervention group. Taken together, these data demonstrate that a psychosocial intervention is associated with neural and behavioural improvements and reduction of externalizing symptoms. The study is limited by the lack of a longitudinal and/or controlled design and a well-defined intervention. Nevertheless, it is very interesting thanks to its ability to ‘take the lab into the community’. Highlighting the possibility of using ERPs as a solid marker of change for therapeutic interventions that might be difficult to test could enable using a robust methodology to assess change following a psychosocial intervention. Neural determinants of risk-taking behaviour can be assessed using ERPs. Robust findings demonstrate an association between the LPP and the development of emotional regulation strategies [2, 3, 4]. Maturational changes of the brain reward system are believed to be responsible for risk-taking behaviours during adolescence . Therefore, ERPs related to reward processing may provide complementary information on brain function and risk-taking in adolescence. The FRN is a negative wave observed after approximately 200 ms after the appearance of signals concerning individuals’ performance . Evidence suggests that risk-taking behaviours in adolescents are associated with FRN abnormalities . Activity of the P300 indexes cognitive-attentional functioning , and is linked to behavioural inhibition , and development of aggression in humans . Reduced P300 amplitudes in adolescence are predictive of antisocial behaviours in adulthood . The present study also supports the notion that P300 and FNR can reflect immature responses to feedback processing and externalizing problems and, therefore, predict high risk for adverse developmental outcomes. The ability to describe brain function with high temporal and spatial resolution, using electrical neuroimaging procedures , can aid gaining an understanding of the neural correlates of developmental problems and psychiatric disorders at relatively low cost, with high portability, and can be very useful for hard-to-reach populations and young research subjects. Studies on the effect of psychosocial interventions assessing ERPs patterns are lacking, especially during development. Further studies may shed new light on neural circuits and related abnormalities that might be amenable to change in at-risk youth and, thus, pave the way to new interventions.